Net Nanny® has Profanity Masking. This allows you to view an entire web page without being bombarded by vulgar language — a useful parental control. Many sites, such as YouTube or blogs, permit users to leave feedback or comments directly on each page, some of which are inappropriate or profane. Some Internet filters might block those pages entirely. 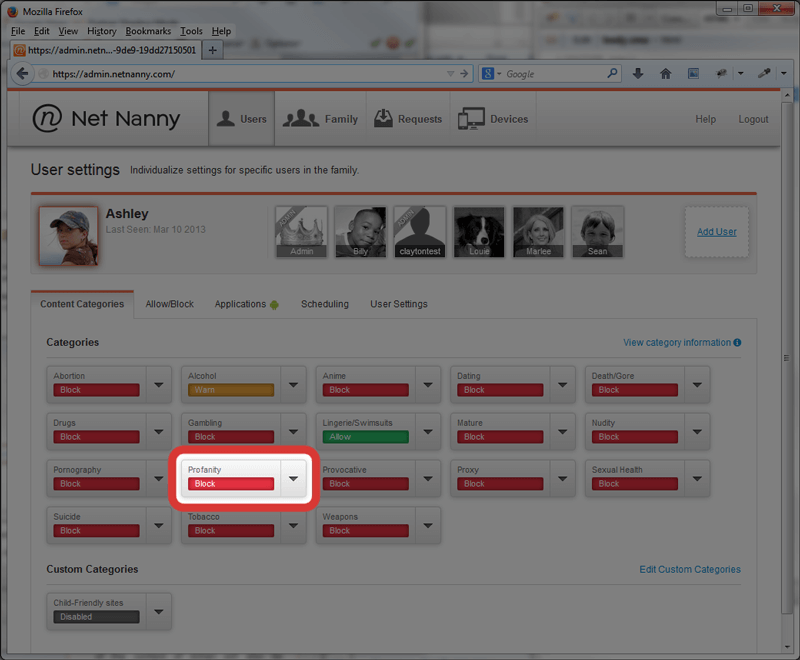 With Net Nanny, you can view web sites that include profanity, without being subjected to reading the profanity. When Profanity Masking is selected in the Remote Admin Console (see below), a User will see web pages that contain profanity, but the vulgar words on the screen will be replaced by special characters (example below). This video was so %$# stupid and their other video was complete @#$ too. with the Family Protection Pass.